Where the hard edge of physics meets the vulnerable metaphysics of the human heart. Few people have enchanted the popular imagination with science more powerfully and lastingly than physicist Richard Feynman (May 11, 1918–February 15, 1988) — the “Great Explainer” with the uncommon gift for bridging the essence of science with the most human and humane dimensions of life. 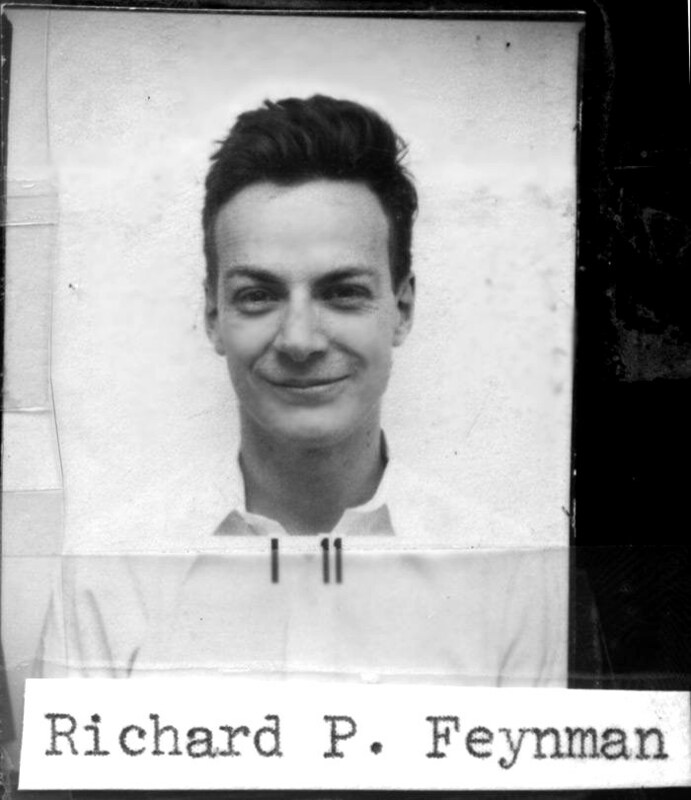 Several months after Feynman’s death, while working on what would become Genius: The Life and Science of Richard Feynman (public library) — the masterly biography plumbing the wellspring of Feynman’s genius — James Gleick discovered something of arresting strangeness and splendor. In a mass of unread papers sent to him by Feynman’s widow, Gweneth, Gleick found a letter that discomposed his most central understanding of Feynman’s character. A generation after computing pioneer Alan Turing tussled with the binary code of body and spirit in the wake of loss, Feynman — a scientist perhaps uncommonly romantic yet resolutely rational and unsentimental in his reverence for the indomitable laws of physics that tend toward decay — penned a remarkable letter to a physical nonentity that was, for the future Nobel-winning physicist, the locus of an irrepressible metaphysical reality. In high school, the teenage Richard spent summers at the beach in his native Far Rockaway. 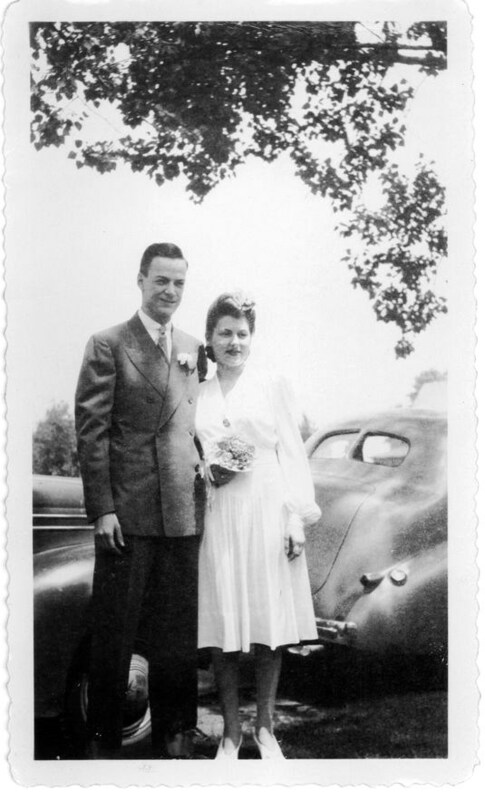 There, he grew besotted with a striking girl named Arline — a girl he knew he would marry. Both complement and counterpoint to his own nature, Arline met Richard’s inclination for science with ardor for philosophy and art. (The art class he took just to be near her would lay the foundation for his little-known, lifelong passion for drawing.) By his junior year, Richard proposed. Arline accepted. With the eyes of young love, they peered into a shared future of infinite possibility for bliss. But they were abruptly grounded when a mysterious malady began afflicting Arline with inexplicable symptoms — a lump would appear and disappear on her neck, fevers would roil over her with no apparent cause. Eventually, she was hospitalized for what was believed to be typhoid. Just as Feynman began bombarding the doctors with questions that steered them toward a closer approximation of the scientific method, Arline began to recover just as mysteriously and unpredictably as she had fallen ill. But the respite was only temporary. The symptoms returned, still shorn of a concrete explanation but now unambiguously pointing toward the terminal — a prognosis Arline’s doctors kept from her. Richard refused to go along with the deception — he and Arline had promised each other to face life with unremitting truthfulness — but he was forced to calibrate his commitment to circumstance. His parents, Arline’s parents, and the doctors all urged him not to be so cruel as to tell a young woman she was dying. His sister, Joan, sobbing, told him he was stubborn and heartless. He broke down and bowed to tradition. In her room at Farmingdale Hospital, with her parents at her side, he confirmed that she had glandular fever. Meanwhile, he started carrying around a letter — a “goodbye love letter,” as he called it — that he planned to give her when she discovered the truth. He was sure she would never forgive the unforgivable lie. Marriage, however, proved to be a towering practical problem — Princeton, where Feynman was now pursuing a Ph.D., threatened to withdraw the fellowships funding his graduate studies if he were to wed, for the university considered the emotional and pragmatic responsibilities of marriage a grave threat to academic discipline. 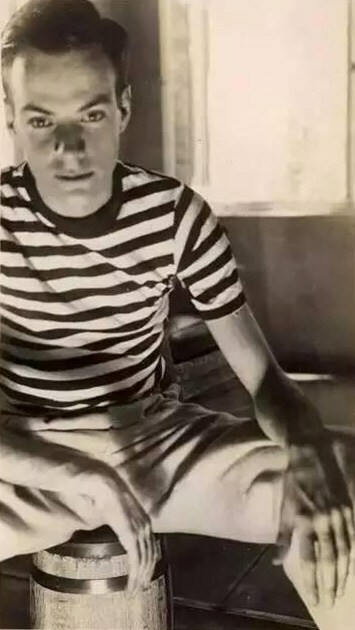 Just as Feynman began considering leaving Princeton, a diagnosis detonated the situation — Arline had contracted a rare form of tuberculosis, most likely from unpasteurized milk. At first, Feynman was relieved that the grim alternative options of Hodgkin’s disease and incurable cancers like lymphoma had been ruled out. But he was underestimating, or perhaps misunderstanding, the gravity of tuberculosis — the very disease which had taken the love of Alan Turing’s life and which, during its two-century heyday, had claimed more lives around the globe than any other malady and all wars combined. At the time of Arline’s diagnosis in 1941, immunology was in its infancy, the antibiotic treatment of bacterial infections practically nonexistent, and the first successful medical application of penicillin a year away. Tuberculosis was a death sentence, even if it was a slow death with intervals of remission — a fact Richard and Arline faced with an ambivalent mix of brave lucidity and hope against hope. On June 29, 1942, they promised each other eternity. Meanwhile, WWII was reaching its crescendo of destruction, dragging America into the belly of death with the attack on Pearl Harbor. Now one of the nation’s most promising physicists, Feynman was recruited to work on what would become the Manhattan Project and soon joined the secret laboratory in Los Alamos. Arline entered the nearby Albuquerque sanatorium, from where she wrote him letters in code — for the sheer fun of it, because she knew how he cherished puzzles, but the correspondence alarmed the military censors at the laboratory’s Intelligence Office. Tasked with abating any breaches to the secrecy of the operation, they cautioned Feynman that coded messages were against the rules and demanded that his wife include a key in each letter to help them decipher it. This only amplified Arline’s sense of fun — she began cutting holes into her letters, covering passages with ink, and even mail-ordered a jigsaw puzzle kit with which to cut up the pages and completely confound the agents. In every single letter, he told her that he loved her. “I have a serious affliction: loving you forever,” he wrote. But heightened as their hopes were by this new dimension of shared experience, Arline’s health continued to plummet. Her weight dropped to eighty-four pounds. Exasperated by the helplessness of medicine, which Feynman had come to see not as a manifestation but as a mutilation of the scientific method, he invested all hope in an experimental drug made of mold growths. “Keep hanging on,” he exhorted Arline. “Nothing is certain. We lead a charmed life.” She began spitting blood. At twenty-seven, on the precipice of a brilliant scientific career, he was terminally in love. 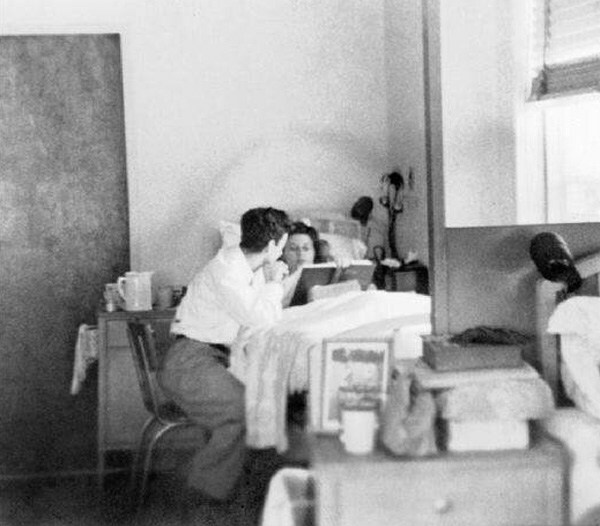 On June 16, 1945, while working at the computing room at Los Alamos, Feynman received a call from the sanatorium that Arline was dying. He borrowed a colleague’s car and sped to the hospital, where he found her immobile, her eyes barely tracing his movement. Early in his scientific career, he had been animated by the nature of time. Now, hours stretched and contracted as he sat at her deathbed, until one last small breath tolled the end at 9:21PM. And so we arrive at Gleick’s improbable discovery in that box of letters — improbable because of the extreme rationality with which Feynman hedged against even the slightest intimation of metaphysical conjectures untestable by science and unprovable by reason. During his courtship of Arline, he had been vexed by her enthusiasm for Descartes, whose “proof” of God’s perfection he found intellectually lazy and unbefitting of Descartes’s reputation as a champion of reason. He had impishly countered Arline’s insistence that there are two sides to everything by cutting a piece of paper and half-twisting it into a Möbius strip, the ends pasted together to render a surface with just one side. Everything that appeared mystical, Feynman believed, was simply an insufficiently explained mystery with a physical answer not yet found. Even Arline’s dying hour had offered testing ground for conviction. Puzzlingly, the clock in the room had stopped at exactly 9:21PM — the time of death. Aware of how this bizarre occurrence could foment the mystical imagination in unscientific minds, Feynman reasoned for an explanation. Remembering that he had repaired the clock multiple times over the course of Arline’s stay at the sanatorium, he realized that the instrument’s unwieldy mechanism must have choked when the nurse picked it up in the low evening light to see and record the time. Complement this particular portion of the altogether magnificent Genius: The Life and Science of Richard Feynman with Rachel Carson’s stunning deathbed farewell to her beloved and Seneca on resilience in the face of loss, then revisit Feynman on science and religion and the meaning of life.